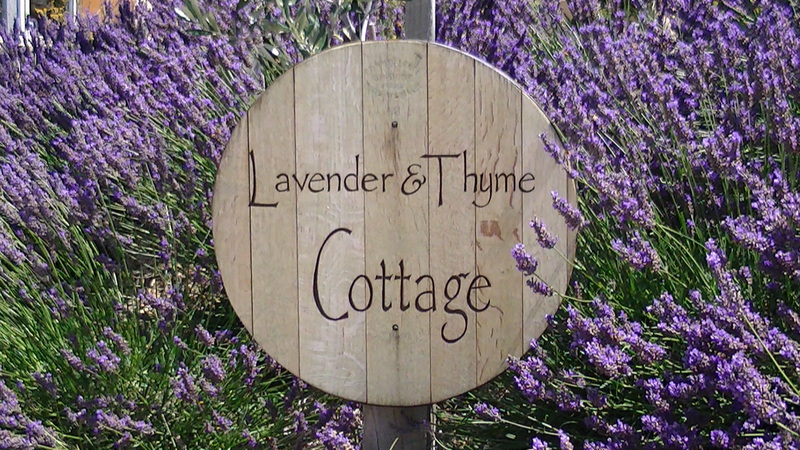 Lavender & Thyme Cottage is our home in beautiful Central Otago, New Zealand. We want to live a good life- simply, live off the land, use 100% natural products whenever possible and maintain a sense of style. Our household is busy but fun, with 4 young children, two cats and the dog. Our ¼ acre edible garden enjoys the continental climate of Pisa Moorings. The plantings are inspired by the French potager garden, with vegetables grown in an ornamental fashion alongside flowers and espaliered fruit trees. The garden has over 40 fruit trees including many heritage varieties, lots of lavender, strawberries and of course its very own vineyard… a must have in Central Otago. You are most welcome to browse all the various categories of this website with it’s helpful hints for growing your own. In addition we have some healthy recipes to make from your homegrown produce. There is also a section on our “Gentle Annie’s” product range of 100% natural olive oil soaps made with Central Otago olive oil and our unique stationary products. We hope you enjoy this website as much as we enjoyed creating it for you. Please visit again. I came across your lovely website while trying to find a supplier of saponified coconut or olive oil. Your website came up and I am not sure whether you make your own to include in yuor soaps or you could let me know of a supplier. Look forward to hearing from yuo. Thank you for your positive feedback. In answer to your question- saponified oil is simply an oil that has undergone a saponification reaction in soapmaking. For instance our olive oil is saponified when it is mixed with lye- the olive oil will change from a liquid to solid during this saponification process. If you google coconut oil you will find stockists, many will deliver the items to your door. We harvest/press our own extra virgin olive oil from a friends olive grove “Dunford Grove”, which is located near our property in Pisa. I hope this helps. Thanks again. Where can I find ur soap? I live in Cromwell. Hi there, I am going to try and espalier a Black boy peach. Which method would you recommend. We already have an apple and a fig tree espaliered. Stonefruit is best espaliered as a fan. Have fun! Your website is beautiful and I admire all that you have ‘created’ here. Such a fresh and interesting read! This is to let you know that I have nominated your site for the “Versatile Blogger Award”. Am not sure whether it fits into the category of ‘blog’, but I thought it would be nice to include your site in the list of others that are getting the recognition anyway, as I think it deserves it! You are so sweet, I enjoyed reading your site too! As you guessed I am not the best blogger, but I did enjoy making my garden site. I am hoping to show some recent photos of the garden so viewers can see the before and after photos- now I just have to wait for the school holidays. Happy gardening and making the world just that bit more beautiful. Hi Rose, I love your blog about your espalier trees, I’m just wondering, is your Monty’s Surprise apple tip or spur bearing? Monty’s Surprise is spur bearing, it also makes the most incredible apple sauce or stewed apple for apple shortcake.